“With the economy as it is just now, I think women need helpful guidance if they are going to colour their own hair. It can be expensive to deal with root growth if you’re frequently at the salon. However if you are thinking of doing it yourself, I would strongly advise retouching your roots only. Never try to step into your hairdresser’s shoes, experimenting with highlights or different colours. You’re setting yourself up for a disaster – and a lot more expense with salon colour correction. The following advice saves you money and time on root touch ups. 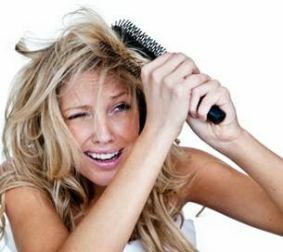 Stay in touch with your hairdresser, you will still need her for your highlights/cuts/and any major change to your hair. But also let her know your intentions to DIY dye. She/he will be more willing to advise you if you’re honest. After all, it’s only a temporary solution for covering up those roots.If you are picking your own colour, remember that what’s in the supermarkets is always different to professional colouring. Always go for one shade lighter at least, and never put the colour on the entire hair. If all looks OK you can add a little water to your hair for the last 10 minutes and work the colour on the roots through to the ends. This will give the hair a more even tone. Never do it on a Saturday night or Bank Holiday weekend in case you need to speak to the manufacturer’s helpline. They may not be open on a Sunday or Bank Holiday so don’t take the risk. Wear old clothing, and cover the surface you are standing on. Put some Vaseline around your hairline and ears to prevent staining. Use a timer. At home there are distractions and you might just lose track of time. Going over can be disastrous. Use dark or old towels. You don’t want to ruin your best ones.